Janice has more than 25 years of experience in the design industry. Since joining Davis & Company in 2004, she has created many award-winning communication materials. She specializes in brainstorming with innovative solutions that are tailored to our clients' specific needs. Her recent work has been for clients, such as Ortho Clinical Diagnostics, Roche Pharmaceuticals, Einstein Healthcare Network and International Flavors & Fragrances. 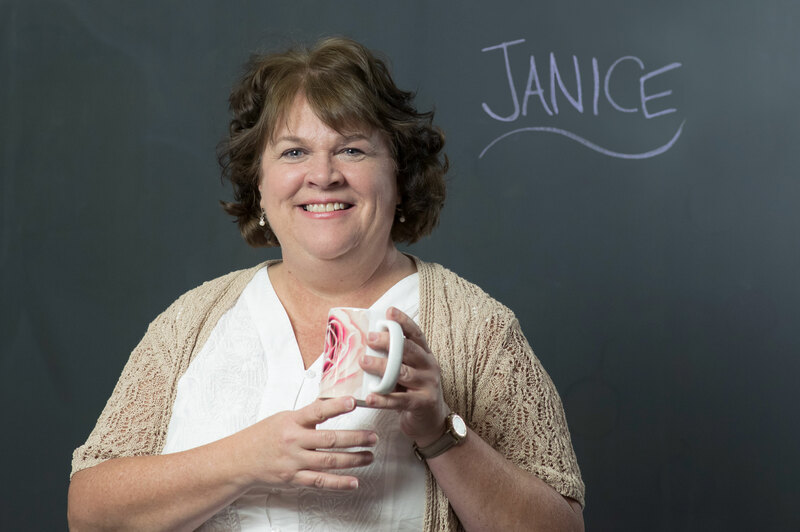 Janice holds a degree in Visual Communication from The Art Institute of Pittsburgh. She also studied fine art at Calvin College in Grand Rapids, Michigan. Janice stays on top of the latest design trends by regularly attending design workshops, such as the HOW design conference, PePcon and United Design Guild Rebrand. That’s too hard to answer. I like the process. Mostly the beginning and end. Coming up with a solution that suits the needs of the client. Upstate New York on a dairy farm.